Canada’s Agriculture Day Is February 12th! Coming up on February 12th, 2019 Agriculture More Than Ever is celebrating Canada’s Agriculture Day. Canada’s Agriculture Day is a time to showcase all of the amazing things happening in the agriculture industry and create a closer connection with consumers about where their food comes from and the people who produce it. 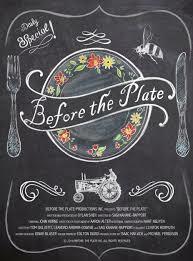 There are events happening for Canada’s Ag Day happening across the country, including a screening of Before The Plate, being held in Wolfville, NS. This event is being presented by the Kings County Federation of Agriculture and Agriculture More Than Ever.